Posted: Tuesday 5th August 2014 in News, Retail Strategy. making a significant purchase. To date they’ve approached this challenge in a variety of ways including opening showrooms in both London and Leeds, and giving customers the opportunity to order fabric samples for many of their products. The latest development from MADE.COM to improve the showroom experience online is ‘MADE Unboxed’. Launched last month, Unboxed is a social network that invites customers to upload photos of their favourite rooms in their houses, showcasing their MADE.COM purchases, and pin their locations on a map. Users can search by location and/or product name, view, ‘like’ and share rooms, leave a message or even ask to meet the owners for a viewing. To capture the sales opportunity these pictures generate, any MADE.COM products featured are displayed next to the photo with buy now buttons. “Unboxed demonstrates ‘collaborative consumption’ which empowers consumers to take inspiration from each other” (Ning Li, Founder). “[W]e are encouraging people to share their love of their homes with their neighbour. We think this will become a movement that represents the future of retail; the focus will change from the demise of the high street, to the rise of your own street” (Brent Hoberman, Chairman). The development of Unboxed highlights MADE.COM as an innovator in the market, and in such a competitive and crowded industry this is vital for attracting customers. Unboxed helps the business to stand out from the crowd and already we’re seeing the benefits of this with an 11% increase in brand searches WOW. Arguably this will drop off over time but MADE.COM will continue to reap the benefits of this profile raising for months to come. From the easy signup process to the pared back design, the site’s light and simple features make it easy to navigate which will encourage people to spend more time on the site and to come back. This simplicity will also mean MADE.COM have less issues with bugs and user errors to deal with, helping to keep the maintenance of the site to a minimum. Possibly one of the best lessons to be learnt from Unboxed is MADE.COM’s approach to the development of the platform. As previously mentioned it’s a very simple site with minimal design and features. This would have kept the costs to a minimum and allowed for a faster development process. New digital initiatives on an eCommerce site don’t have to be big, bulky, complicated things that take months or even years to complete and teams of people to manage. MADE.COM has launched with a solid yet simple platform which forms a good base for them to monitor the response, gather feedback and plan to extend the functionality if it’s required. It’s an agile approach to marketing that digital marketers should be pursuing to keep a pace with digital developments and changes in consumer behaviours. Unboxed is already seeing a positive reaction across various media channels, having featured in The Daily Mail, The Drum and Retail Week, no doubt contributing to the increase in brand searches we have seen. It takes something special to step outside of the industry publications and, by entering the mainstream of The Daily Mail, MADE.COM is reaching out to customers new and old and encouraging them to buy. Content creation and sharing are key components of SEO. Unboxed has the potential to encourage social shares on a huge scale, through people who have an affinity to the business and the products sold. By building a community with existing customers, MADE.COM can reach a wide number of people and use this opportunity to develop other areas of marketing; retargeting on display, for example. From all aspects this initiative looks like a win-win situation for everyone. MADE.COM’s loyal, trendy and house-proud customer base use Unboxed as a platform to share their individual designer flare. 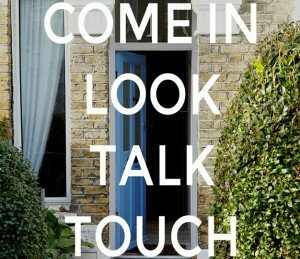 Customers use Unboxed for design inspiration and many more nosey parkers will get on just to have a look at their neighbours’ homes. MADE.COM benefits in multiple ways; an extended relationship with existing customers, cost effective extension of their showroom displays, social media reach from the house proud posting, and the opportunity to convert customers to buyers while they’re engaged and inspired. The key is in the simple execution and the investment in excellent photography for the beta version, making the overall experience easy yet stylish. The future success of Unboxed now rests on MADE.COM’s ability to encourage new customers to post pictures of their rooms/furniture, ensuring the quality and diversity is maintained. If you have any questions or would like to find out more about how Summit can help you make more money online, please contact Neil Collins on 0203 428 5307.